Three today announce it will offer Apple's latest flagship iOS smartphone, the iPhone 5s and the cute 5c starting from today. 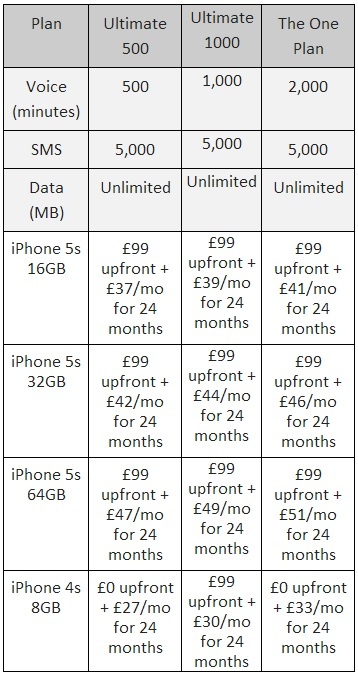 The iPhone 5s will be available from £99 and the iPhone 5c from £49 on a 24-month contract. Never mind what I actually think about the psychedelic and almost flat iOS 7, Apple does make gorgeous looking phones (from the iPhone 4 upwards). While their persistent on sticking with a 4" display may not set the world on fire, at least the people from Cupertino recognises that not everyone wants a phablet size device as their flagship. This is criticism of companies who purposefully reduce of the specification of smaller devices like the One Mini and Galaxy S4 Mini (glares at HTC and Samsung). In any case, the iPhone 5s will be available on Three's great value One Plan for those who prefer to go contract, which should play well once they launch their 4G LTE network later this year. Pricing for the Lumia-ish 5c has already been previously announced, but seriously, if you are into the whole iPhone thing, the 5s should be the only iPhone on your radar.